Fancy style and foofy accents are for formal occasions. You need a ski jacket that's going to stand strong against the weather and jagged rock of the mountain. You need the Obermeyer Leighton Ski Jacket. This jacket combines tough 10K HydroBlock® Sport fabric with mapped fiber down insulation. A Snap-Away™ powder skirt, removable insulated hood, and interior adjustable drawcord hem fortify you against wet, blustery weather. With a ton of pockets, including zippered and flap chest pockets, hand warmer pockets, and an interior cell phone pocket, you're always prepared for the day. "How does the sizing run? If I wear a s or XS would I need a 2 or 4? " "This jacket fits true to size. We would recommend taking some basic measurements and using the size chart provided to get the best fit!" "My wife wears a medium 8/10 jacket. What size do you recommend in this Obermeyer?" "We would need to know some basic measurements before being able to give you an accurate size recommendation. Waist,chest, and hip measurements would be the best to get the best fit. This is a slimmer fitting jacket, so if we were to give a sizing recommendation based only off of the information given we would recommend a 10." "Does the Leighton have thumbhole gaiters?" "Yes, The Obermeyer Leighton Insulated Ski Jacket (Women's) does have thumbhole gaiters. " "Does this jacket have a pass pocket on the sleeve"
"Unfortunately, this jacket does not have a pass pocket on the sleeve." "Does this jacket have a hidden hood?" "The Obermeyer Leighton Insulated Ski Jacket has a removable hood. Hope this information helps!" "Does this come in size 14?" "The Obermeyer Leighton Insulated Ski Jacket is available in size 2 to size 18 in both Petite and Regular. The sizing availability will vary in the variety of colors. Hope this information helps!" "Yes, this jacket does come in a size 14. However, at this time not all colors are available in that specific size. We hope this information helps!" "Is the red the color of the first red jacket (no person in the jacket) or is more the color of the picture of the person in the jacket (more pink?). Thanks~"
"The Crimson color is red. The pink version you see with a model is color Pinot Vino, and it is not in stock at the moment, unfortunately. " "Can the height and depth of the hood be adjusted to fit over bare head, hat, or ski helmet?" 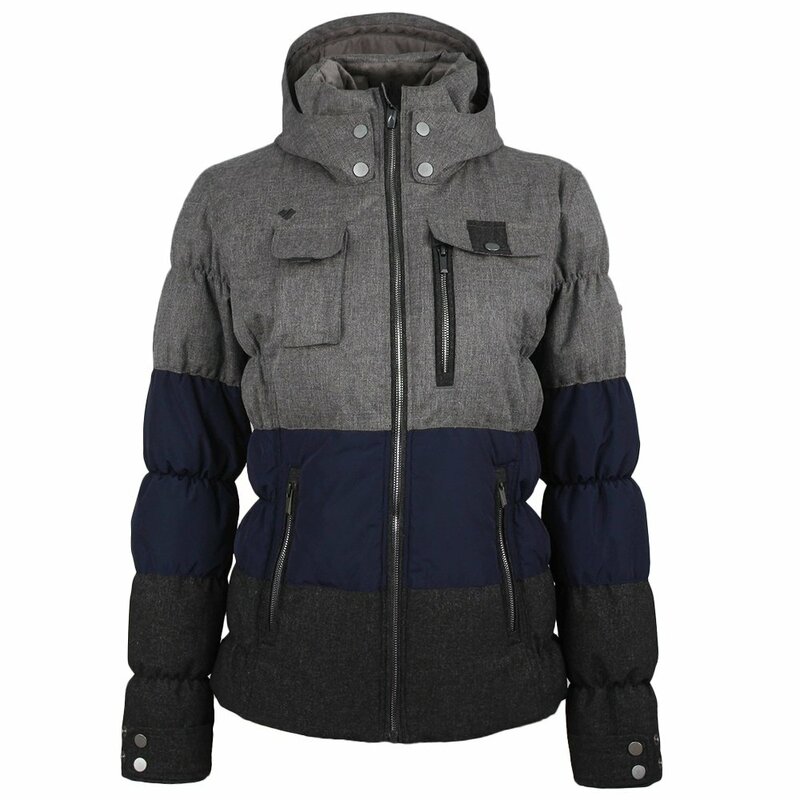 "The Obermeyer Leighton Ski Jacket has a hood drawcord allowing you to adjust the fit. Hope this information helps!" "Does this jacket have ventilation under arms, at sides or back for when you get too warm/sweaty?" "The Obermeyer Leighton DOES NOT have any zippered ventilation. Hope this information helps!"